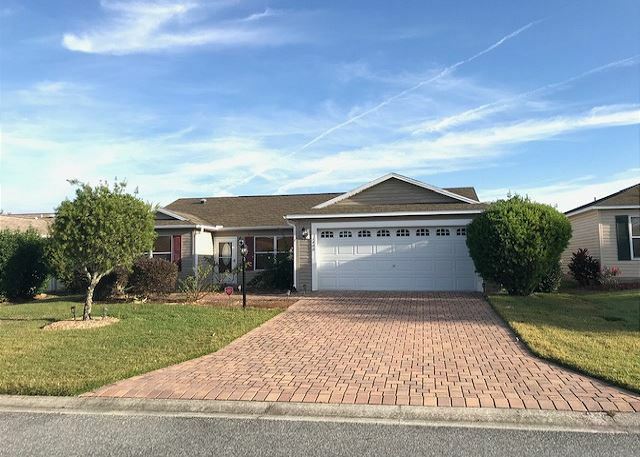 The Villages, Florida United States - GOLF CART THREE BEDROOM RANCH HOME 1 HR FROM ORLANDO IN THE VILLAGES FL | RE/MAX PREMIER REALTY Inc. This beautiful, expanded and upgraded Amarillo model 3/2 with vaulted ceilings is conveniently located in the Village of Duval, just minutes from everything important in The Villages, shopping, entertainment, golf courses, restaurants, swimming pools, Recreation Centers, and medical services! This home features a two car garage, an expanded living room, an enclosed Florida room and an enclosed lanai! The amazing kitchen features Granite counter tops, all brand new Stainless Steel kitchen appliances, ceramic tile flooring in the kitchen, lanai, baths, laundry room and wood laminate in all other rooms! Has 4 TV's with WiFi and every ceiling fan can be remotely operated! This is a MUST SEE! The home has been professionally painted throughout.